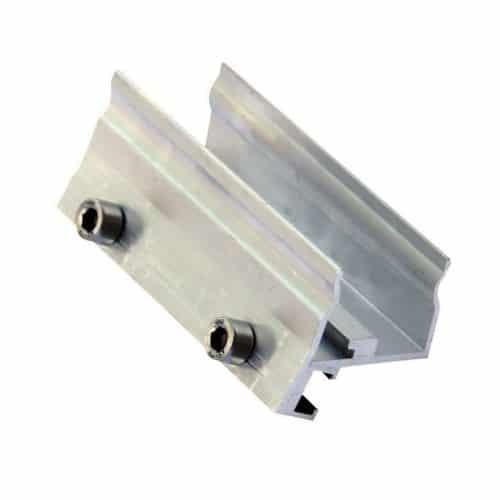 An experienced manufacturer of professional solar mounting systems, Schletter offers a variety of fasteners for photovoltaic modules. The systems combine optimum structural dimensioning, short mounting times, economic efficiency and maximum durability, all at attractive prices. Schletter also offer a durability warranty of 10 years. Schletter systems combine optimum structural dimensioning, short mounting times, economic efficiency and maximum durability at attractive prices. All systems are produced exclusively in Kirchdorf/Haag in Upper Bavaria. Join our ZERO Home Bills Community. BEST Products from the BEST Brands at the BEST Prices for ZERO Home Bills on ZEROhomebills.com by Solaranna. The Schletter module clamp range Rapid16 provides a lot of advantages, such as better warehousing due to the minimised number of design variants and the grounding pin integrated in each module clamp. The Rapid16 clamps are compatible with all Schletter module-bearing rails with 8 mm click channel, designed for module frames of 30 – 50 mm height. The clamping range is divided in 2 sizes. The lower module clamps can fasten modules with frame heights of 30 – 40 mm. The higher clamps are suitable for frames of 40 – 50 mm height. For all middle clamps and for the higher end clamps, the click-in component can be rotated and therefore fasten the modules both in portrait (vertically) and in landscape (horizontally) (linear module clamping). This, however, is not possible with end clamps for lower module frames, as there the click-in component cannot rotate due to its geometry. This is why we provide the lower end clamp also in “H” (horizontal) design.